The Mini Reviewers have always loved to dress up and they have certainly come up with some imaginative outfits in the past but recently it seems to be all about crime fighting heroes and pesky bad guys. So when we saw The Rainbow Factory were holding a Superhero Extravaganza this summer, we had to book tickets. 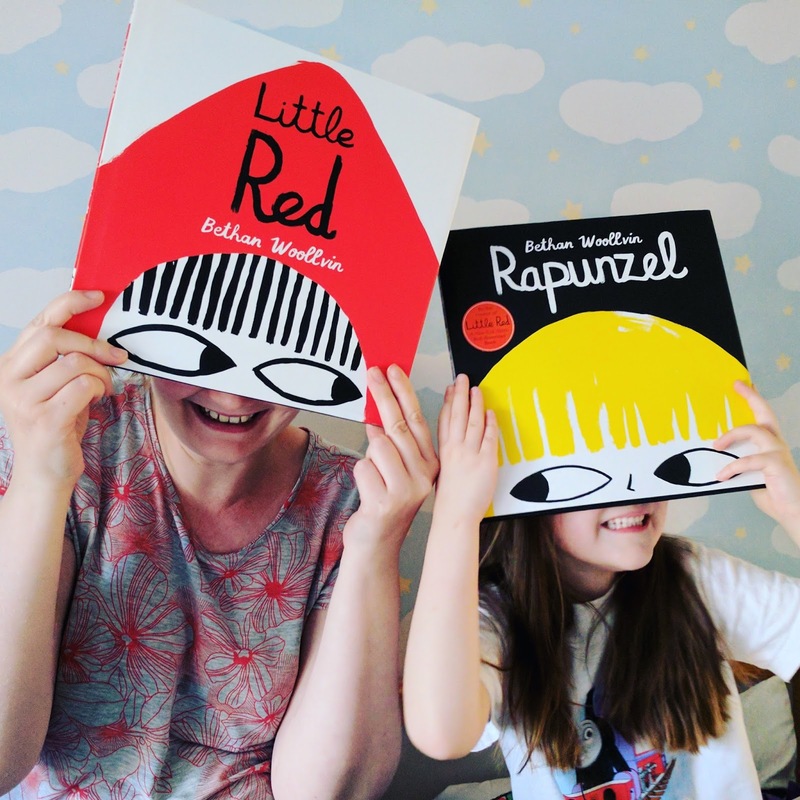 If you are local to Leeds and haven't visited The Rainbow Factory yet, do check out their website as they offer some incredible storytelling adventures. We have been a few times now and each visit is always a little different. 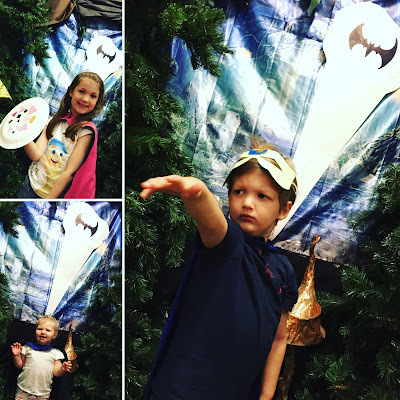 During our last visit the Mini Reviewers got to make their very own Supertato, decorate masks and shields and, of course, train to be Superheroes. I think they looked pretty convincing, don't you? One Button Benny is a heartwarming new story about an unlikely hero called Benny. Benny is a little robot with just one big button, which reads "Only Press In An Emergency". Understandably Benny is desperate to find out what his button does especially as all the other robots have amazing talents and like to tease him. 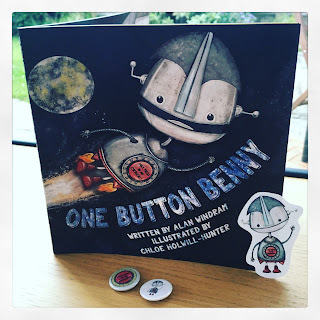 When scary aliens come to Benny's planet and threaten to crush all the robots into teapots, Benny finally gets the chance to push his button and show everyone just what he can do, but will he be able to save the day? Well that would be telling! This is such an imaginative and humour filled story, which fits beautifully with the striking illustrations. Benny is such an endearing little chap and he has definitely won a place in all our hearts here. The book is available now in paperback. The audio book and Zing. Zang. Zoom. song are also available to download. 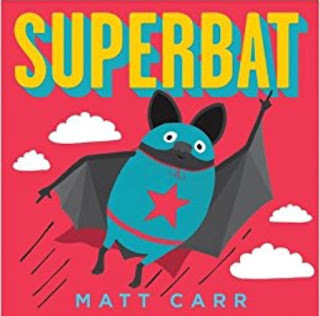 Superbat by Matt Carr is a boldly illustrated picture book about a bat called Pat. Pat just wants to show the other bats he is special but it seems that all the other bats can do everything he can do. They all have super hearing, they can all fly and they all have echolocation too! How will he show them he is special? A fun story showing that courage is what makes a true hero. We particularly like the comic book-esque illustrations and the final page, which is full of interesting batty facts. Rapunzel is a brilliantly dark picture book from Brighton based author/ illustrator Bethan Woollvin. It is an amusing retelling of the classic tale but without a prince in sight. This princess, determined to escape captivity, comes up with her own plan to defeat the witch. Having got rid of one witch, it doesn't look like Rapunzel is going to stop until she's got all the witches in the Kingdom. She certainly is a little hero! Bethan's unique style of illustration and use of colour add to the drama of this story. Her previous book Little Red was equally as dark and fantastic, they make a fab duo! 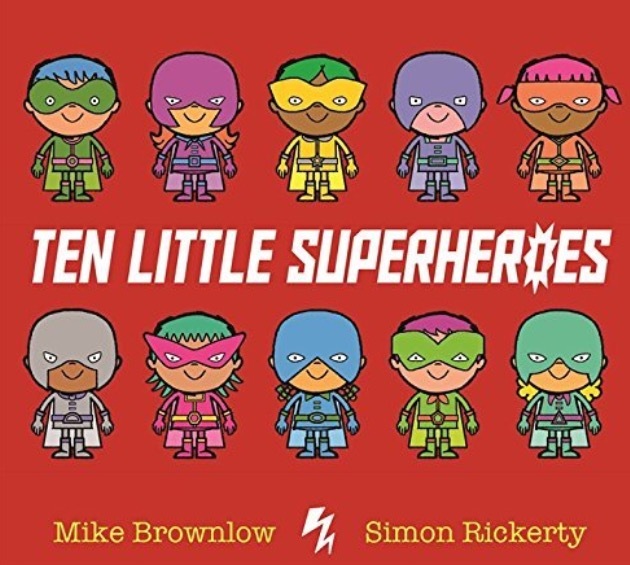 Ten Little Superheroes is the latest counting book in the bestselling Ten Little series created by Mike Brownlow and Simon Rickerty. 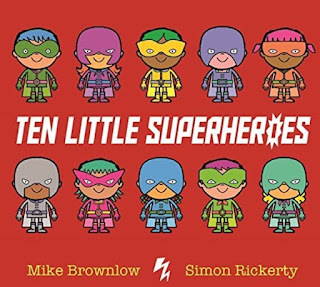 A brilliant rhyming story about ten little super-kids battling a league of bad guys. The Mini Reviewers were especially thrilled by the different ways the baddies dispensed with the super-kids one by one. Of course none of their evil ways were a match for the super-kids' super speed. Packed with vibrant illustrations and chantable rhymes, this book certainly has the POW! factor. Supertato Run, Veggies, Run! 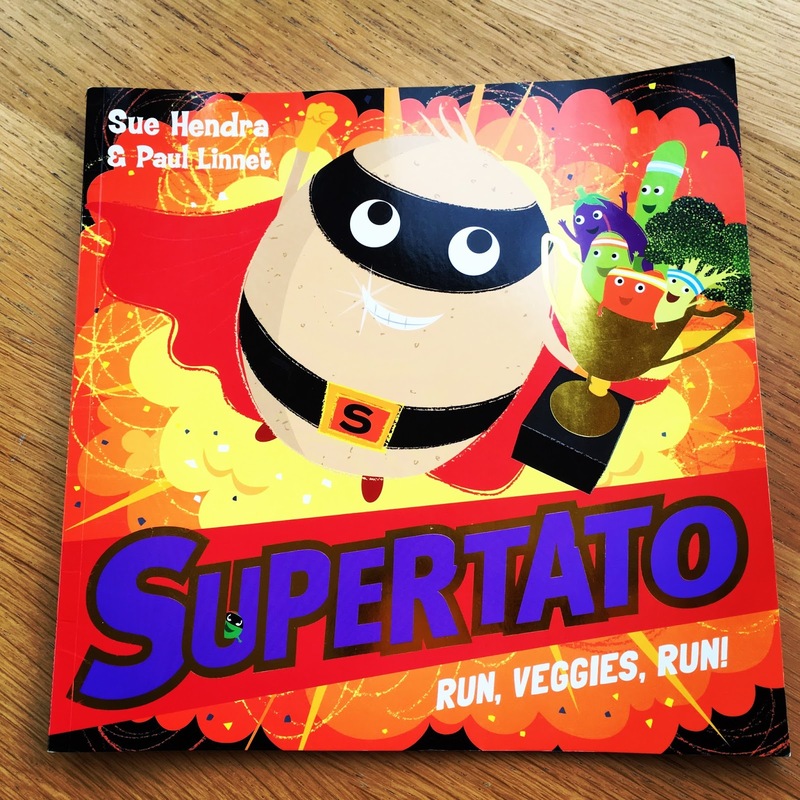 is the third book in the Supertato series and it's time for Sports Day! Evil Pea is back and, with help from a Watermelon called Gloria, he plans to win ALL the prizes. However when Gloria enters the swimming race things start to go a little wrong. Supertato realised that Evil Pea is cheating and of course saves the day! The original book is still our favourite but this is another great addition to the series. A further book, Supertato Evil Pea Rules! is due to be released later in the year and can be pre-ordered now. 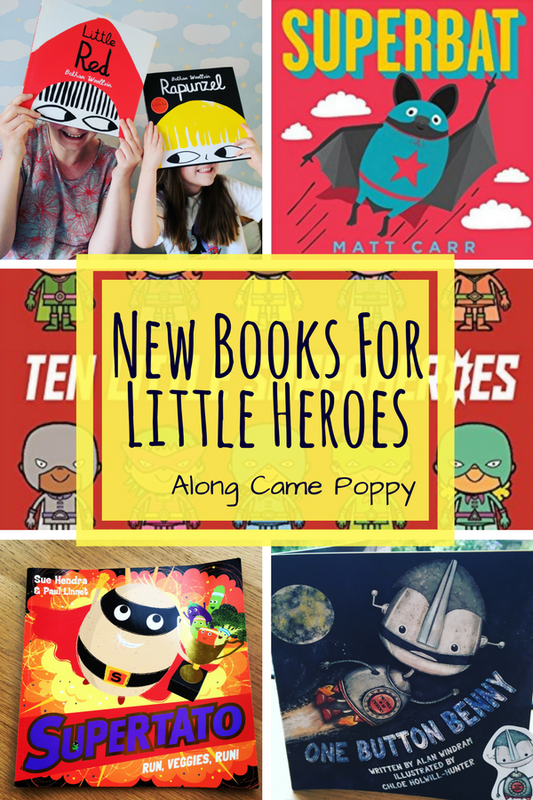 Do your little heroes have a favourite book? Please do leave us your super suggestions below! *We received a copy of One Button Benny for review purposes. All opinions are as always our own. This post contains affiliate links.